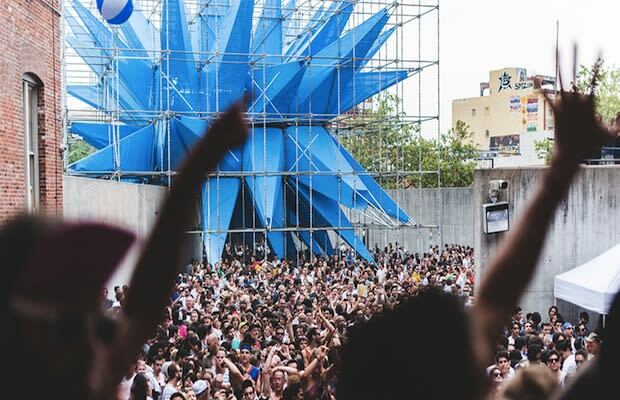 Every year MoMA PS1 holds their Warm Up outdoor music series to provide entertainment as well as to promote experimentation and collaboration among the selected artists. The schedule has been announced for Warm Up 2013 and the lineup is promising. Some of the collaborators include J. Cole, Bangladesh, Ben UFO, Lee Gamble, A Guy Called Gerald, Museum of Love, Juan Atkins, DJ Qu, NHK&apos;Koyxen, and Obey City, with more established and emerging talent set to take the stage. The concerts will be held each Saturday starting June 29 and the series ends with a bonus line-up to be announced for September 7. Tickets go on sale Wednesday, June 5 with a special pre-sale on for MoMA PS1 Plus and MoMA members on June 3. For more information visit the MoMA PS1 site.